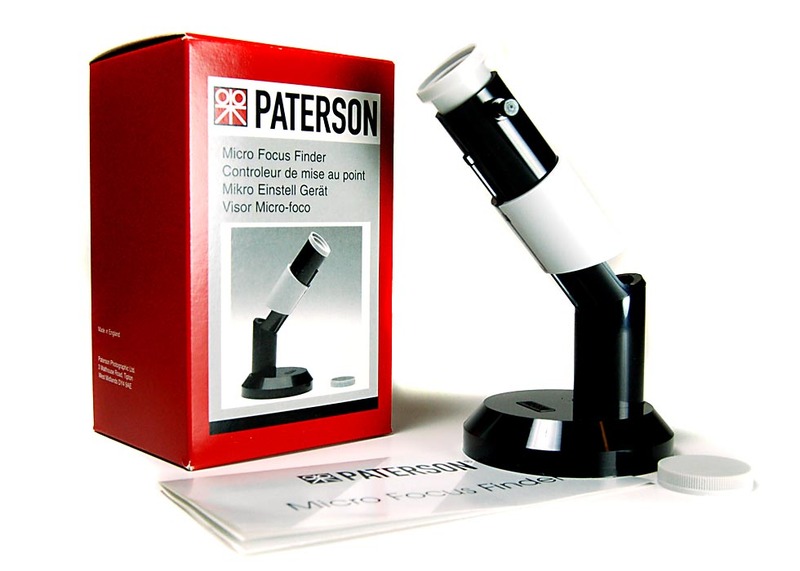 The Paterson Micro Focus Finder provides a highly magnified image which snaps into and out of sharp focus and is bright, even at large magnifications. It is 6in (15cm) high and adjustable for individual eyesight. A shutter protects the mirror when not in use and a lens cap protects the high quality lens. You can focus the image without a focus finder, but for reliable focusing you need this tool. Very easy to use - you look into it and adjust the enlarger focus until you see the grain of the film become sharp, like sand. Probably the World's best selling focus finder. Made in England.